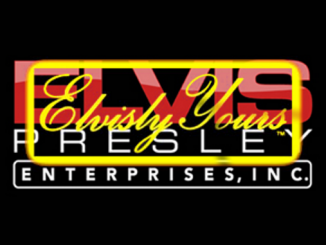 Elvis Presley Enterprises, Inc. (“EPE”) appeals the denial of a preliminary injunction against Elvisly Yours, Ltd., a corporation of England, Elvisly Yours, Inc. and Sid Shaw (referred to collectively as “Shaw”) for trademark infringement and unfair competition. The District Court denied the injunction based on its assessment of no strong likelihood of success on the merits. We find that the District Court erred in its determination of no likelihood of success as to infringement of certain marks on certain goods. We reverse and remand. The denial of a preliminary injunction is reviewable under the abuse of discretion standard. Frisch’s Restaurant, Inc. v. Shoney’s Ins., 759 F.2d 1261, 1263 (6th Cir. 1985). The District Court found no evidence that EPE had used the claimed trademarks with respect to any specific items of merchandise. The court apparently agreed with Shaw’s proposition that EPE has only a trademark in gross, with no attachment of specific marks to specific goods as required by the Lanham Act, 15 U.S.C. § 1127. However, EPE introduced into evidence a 54-page catalog section of products carrying EPE marks which were sold by Presley, EPE, or its licensees. The court’s finding of “no evidence [that EPE] … [has] used the claimed trademarks with respect to any specific items of merchandise,” Joint Appendix at 9, is clearly erroneous. Despite the court’s finding, it continued to analyze the trademark issue, assuming, as is indeed the case, that EPE had established superior rights in the marks. We held in Frisch’s Restaurant that a preliminary injunction is available to a plaintiff under the Lanham Act upon a demonstration of likelihood of confusion as to the origin of the goods resulting from defendant’s use of the marks and a demonstration of irreparable harm to plaintiff’s interests. 759 F.2d at 1264. The same test applies under Tennessee law. Tenn. Code Ann. § 47-25-511(1). Likelihood of confusion is a question of law based on an analysis of all material facts. WSM, Inc. v. Tennessee Sales Co., 709 F.2d 10841 1086 (6th Cir. 1983). The District Court held that EPE had failed to show a likelihood of confusion. The court noted that likelihood of confusion can be proven by survey evidence, evidence of actual confusion or argument based on a clear inference arising from a comparison of the marks and the context of their use. The court found EPE had presented no survey evidence, no evidence of actual confusion, and further found EPE had presented no evidence from which confusion could be inferred. The court applied essentially the same test for registered and unregistered marks. The court added that EPE had not established that the balancing of the hardships tipped decidedly in its favor, which, along with serious questions going to the merits, serves the same purpose in the analysis as likelihood of success on the merits. Frisch’s Restaurants, Inc. v. Elby’s Big Boy of Steubenvill, Inc., 670 F.2d 642, 651 (6th Cir. ), cert. denied, 459 U.S. 916 (1982). EPE argues that there was ample evidence in the record to support an inference of confusion, contrary to the conclusion of the District Court. Upon an examination of the record, we find this argument persuasive. Shaw admitted using the same marks on the same goods in the same trade channels to the same consumers as did EPE. Joint Appendix 169. From this alone one must infer confusion. We find it unnecessary to undertake an extended analysis into such factor as defendant’s intent where there is no difference between the marks or the goods or the markets. See AMF, Inc. v. Sleekcraft Boats, 599 F.2d 341, 348 (9th Cir. 1979). Furthermore, at least some of the goods marketed by Shaw are expressly covered by EPE trademarks. 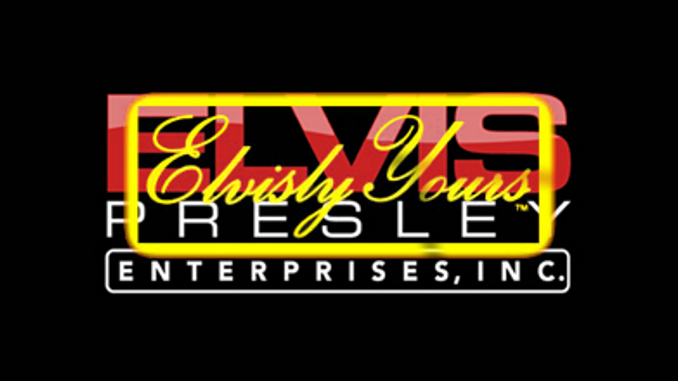 EPE has a federal registration for the mark “Elvis” for clothing, specifically T-shirts and jackets. Federal trademark registration creates a presumption of the exclusive right to use the marks in commerce on the goods listed on the registration. 15 U.S.C. § § 1057(b), 1115(a). The District Court did not address this presumption, although Shaw’s sales literature advertised a jacket with the word “Elvis” displayed prominently on the front. Joint Appendix at 265. Finally the court noted that the only goods bearing the infringing marks actually introduced into evidence were ladies’ underwear sporting Presley’s likeness. 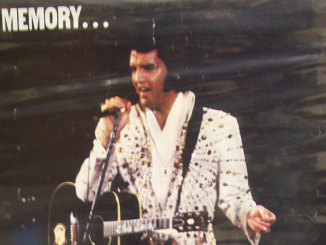 Under EPE’s Tennessee trademark the likeness of Presley on memorabilia is included. The underwear therefore appears to be a clear infringement of at least the state trademark. More importantly, though, EPE did introduce into evidence catalogs offered by Shaw portraying a wide variety of goods for sale, including T-shirts and jackets bearing infringing marks. Joint Appendix at 265. The court did not explain why the catalog was not sufficient evidence. We find that the catalogs and other exhibits establish that EPE was selling trademarked goods. Shaw also argues that the name and face of Elvis Presley do not perform a trademark function, relying upon Damn I’m Good, Inc. v. Sakowitz, Inc., 514 F. Supp. 1357 (S.D.N.Y. 1981). 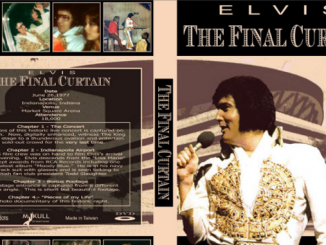 Persons are purchasing Elvis memorabilia because of the message invoking the memory of Presley rather than as identifying a source. In Sakowitz, plaintiff sought protection for a common law trademark “Damn I’m Good” for jewelry. Plaintiff was in the mail order business of selling bracelets with that phrase and others, such as, “Gosh I’m Great” and “I’m the Boss.” The trademark had not been registered. [FN1] Judge Weinfeld questioned whether there could be trademark protection for such a phrase. He also found that the role played by the phrase “Damn I’m Good’ in identifying the source of the bracelet was small. We cannot agree that goods bearing a trademark identified with a popular sport or entertainment figure convey a message like “Damn I’m Good.” It may well be that because this figure’s name or likeness stirs memories or good feelings about that person that the goods are purchased; but there is no message. Here the trademarks have been registered by EPE. The marks are not merely descriptive and Shaw has suggested no basis on which the marks could be contested. 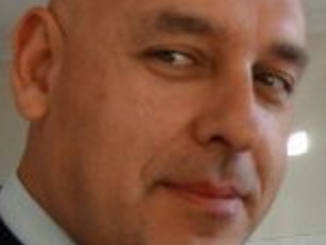 He has failed to rebut the facie case that EPE’s federal registration provides that the marks are valid, that EPE is the owner of the registration and that EPE is entitled to their exclusive use. We, therefore, hold that the District Court erred as a matter of law in finding no likelihood of confusion, so that the court abused its discretion in denying the motion, at least as to certain goods and certain marks. Since EPE is entitled to exclusive use of the trademarks in the United States, it is entitled to a preliminary injunction with respect to goods covered by its registered trademarks. Shaw relies on the decision of this Court in Memphis Dev. Found. v. Factors Etc., Inc., 616 F.2d 956 (6th Cir. ), cert. 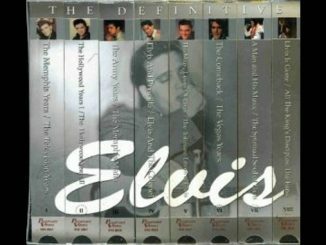 denied, 449 U.S. 953 (1980), holding that no descendible right of publicity exists in Tennessee that would give EPE the exclusive right to control all uses of Presley’s name and likeness. The District Court did not address the issue of the descendibility of the right of publicity other than to note that Shaw relied on the “law of this Circuit” in contesting that right. The Court of Appeals of Tennessee (Middle Section at Nashville) has now declared that a celebrity’s right to publicity was and is descendible under the common law of Tennessee. The Tennessee court expressly rejected our holding in Memphis Development. In a diversity case we may not reject a ruling on state law by an appellate court of the state unless there is an indication that the state’s highest court would decide otherwise. West v. American Telephone & Telegraph Co., 311 U.S. 223 (1940); Coleman v. Western Elec. Co., 671 F.2d 980 (1982). We can find no indication here that it would. Our Court in Memphis Development did not rely on any Tennessee cases, but reached its decision based on a discussion of policy and equity. The Tennessee Court of Appeals refused to accept that analysis. The action is REMANDED to the District Court for further proceedings in accordance with this opinion and in light of the Tennessee Court of Appeals decision in State ex rel. Elvis Presley Int’l Memorial Found. v. Crowell, No. 86-99-II (Tenn. Ch. App. April 3, 1987). FN1. Plaintiff had applied for registration but the application was being contested.